More than 10,000 New Zealanders are saying yes to welcoming some of the world’s most vulnerable people. The Community Organisation Refugee Sponsorship programme offers us an extraordinary opportunity to welcome refugees in addition to what the Government offers through the quota system. Here is a snapshot of the potential of the programme and the pressing need for innovative and compassionate leadership. We are asking the New Zealand Government to clearly back our international obligations and the generous spirit of our people by making the community sponsorship programme permanent. Community sponsorship involves individual people and community organisations taking the lead in directly helping refugees to settle in their communities. 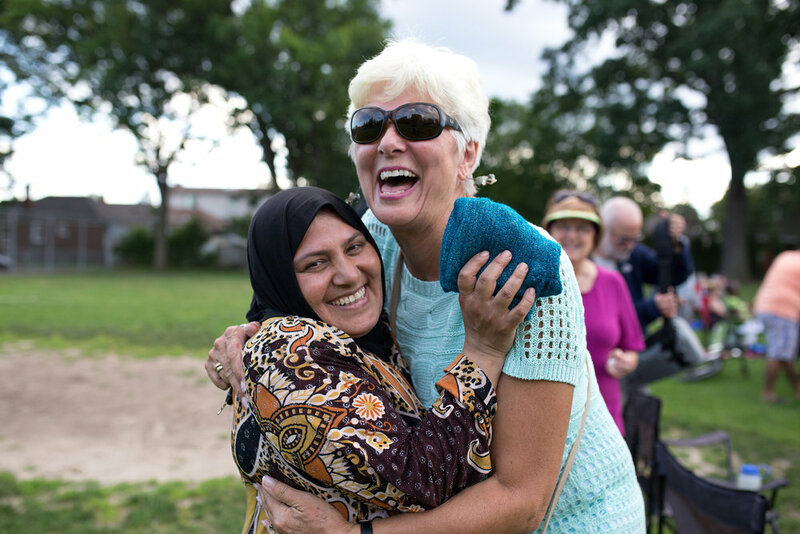 Started in Canada in the 1970's, the Canadian community sponsorship programme has successfully resettled approximately 300,000 refugees since it began. Community sponsorship is designed to complement and be in addition to strong government-led resettlement programmes, such as the New Zealand Government’s Refugee Quota Programme. Community sponsors provide social and emotional support to refugees and the refugees become part of the local community. In the process, both sponsors and refugees often have a life-changing experience, reshaping their communities and society to be more accepting and welcoming. The international community faces an increasing, and urgent need to establish new pathways of safety for vulnerable people fleeing conflict and persecution around the world. As of 2018, of the 25.4 million refugees worldwide, the the UN Refugee Agency (UNHCR) estimates that there are close to 1.2 million refugees in critical and immediate need of resettlement, with an expected increase to 1.4 million in 2019. New Zealand’s contribution to refugee resettlement is still comparatively tiny in the international context of responsibility sharing. Even with the welcome increase to 1500 refugee places per year under the Government Quota, New Zealand still only hosts approximately 0.3 refugees per 1000 inhabitants. This lags behind neighbouring Australia’s 0.7, and is dramatically less than developing states such as Lebanon, which hosts 164 per 1000 inhabitants. Community Sponsorship offers a sustainable model to do more. By engaging in community sponsorship as an additional pathway, New Zealand is also joining with a select, like-minded and forward thinking group of other countries such as Canada, Ireland, Argentina, Spain, and the United Kingdom. Read more about the global need that exists worldwide, and the role that ordinary citizens can play to welcome the growing numbers of vulnerable people fleeing conflict and persecution around the world in the full report. New Zealand’s pilot programme involves four community groups sponsoring 23 refugees (newcomers). The groups include Gleniti Baptist Church in Timaru, Southwest Baptist Church in Christchurch, three friends who teamed up with St Vincent de Paul in Nelson, and Caritas Aotearoa New Zealand sponsoring a family of newcomers in Hamilton. Each of these groups has taken on a single refugee family, except for Southwest Baptist Church, which has three neighborhood communities sponsoring one refugee family each. The community groups have reported to Amnesty International that they feel like extended families for the newcomers. As a result, New Zealand communities are becoming more welcoming and closer-knit. While it is still early days, the experience of the groups is compelling. Many community group members across the country have said how wonderful the programme has been for them. Similarly, newcomers are showing a deep gratitude, trust and respect for the sponsor groups, which are not only a supportive network, but have become like family. Hayat Shawish and Mohammed Al Qattan are from Syria. They’re currently building a new life for themselves and their baby Zuheir with the help of the community sponsor group from Gleniti Baptist Church in Timaru. “New Zealand is very beautiful. And when you go to New Zealand you stay very comfortable and in peace. And safe. This is important things for us now. When I was in Syria, I had the exam in my university, and when I do exam, there is bomb and there is war. It’s very difficult. You can die at any time. It’s so difficult for us. Muaz and his wife fled Syria for Lebanon, where they spent four long years eking out a precarious existence. Finally, they were offered the chance to come to New Zealand. “After we got the approval, we were really joyful. We were really happy to start a new journey here – to come to New Zealand. The strength of this community is in diversity. It’s good to have people from different backgrounds. Different skills. Different knowledge. They are doing everything to help us. Playing squash, hiking, some sports. And some conversation, yes. This is a wonderful programme. 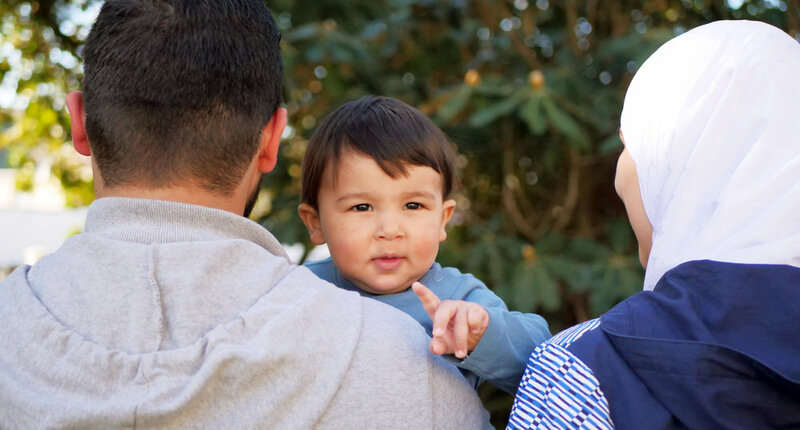 It’s a mutual benefit, both for the people on the other side of the world – the Syrian refugees – and New Zealand. So it’s good for both sides if this programme continues. 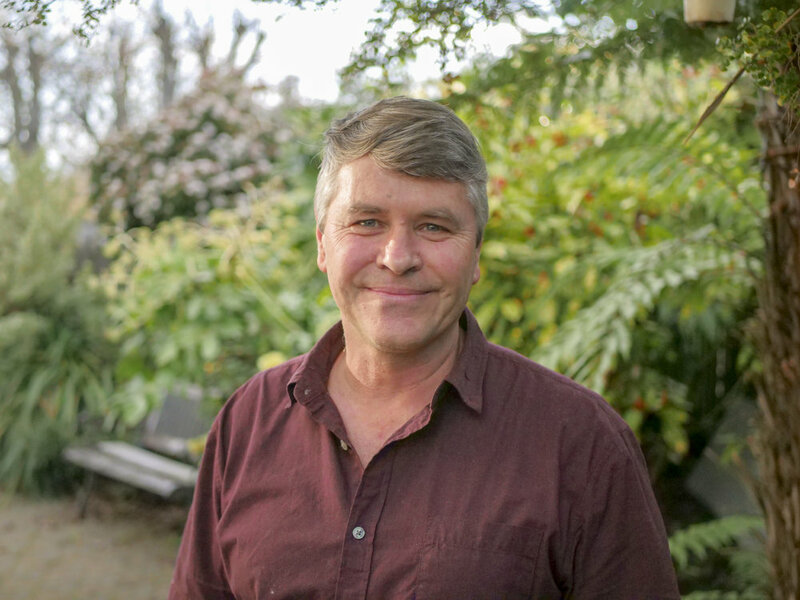 Mark Pavelka is the Pastor at Gleniti Baptist Church in Timaru. Their community group is sponsoring Mohammed, Hayat and baby Zuheir. “One of the big costs of leaving your home country is being torn away from your support group. This gives them a new support group of people who really care – and offer all sorts of different talents and skills to help them settle in as fast as possible. To actually meet the family was quite overwhelming. It made it very personal. Miriam is part of one of the community sponsorship groups in Christchurch. Her role is to coordinate the different volunteers to work with the family. “We’ve been really lucky in that the family we’re working with has a wee baby the same age as mine. So it’s been really nice, we can come and hang out and go to Plunket together and go to Playgroup. It’s really special being able to have cups of tea and just…yarn. We have somebody doing the bank and finance and insurance and power companies and cell phones…all those sorts of things. We’ve got some guys who are just keen to hang out and be friends and do boy stuff with dad…so that’s really cool. This seems like such a natural model. In terms of having communities of people who are looking out, who run into each other, who support each other. Amnesty International has interviewed many of the people involved in New Zealand’s Community Organisation Refugee Sponsorship pilot programme. Meet more inspiring sponsors and newcomers by downloading the full report. Through community sponsorship, members of the community groups provide a holistic, wrap-around support service. They are there to help with the fundamentals and logistics of setting up homes, figuring out transport and accessing basic services. But equally important, they become friends with the newcomers. Through this combination of shared logistical responsibilities and regular social gatherings, there is a profound camaraderie that develops amongst community group members. 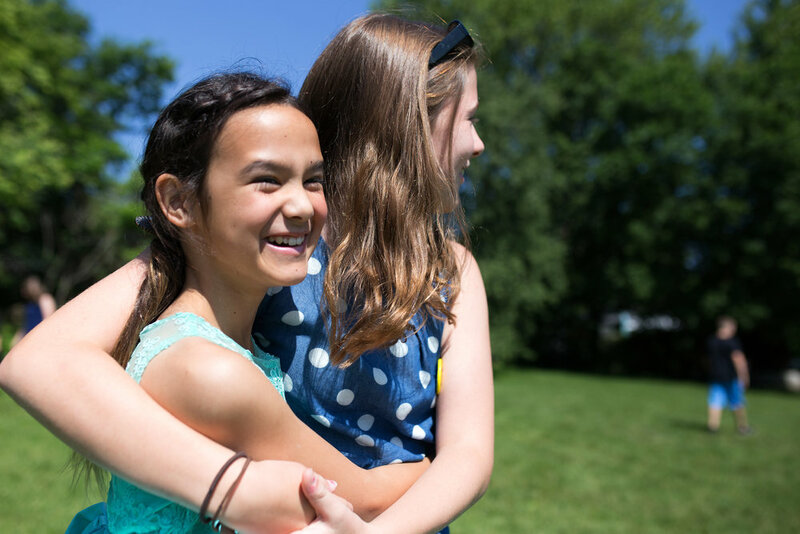 This stems partly from the friendships that are often present at some level in the group before they sponsor a refugee family. But those bonds grow through this sense of shared purpose, along with the meaningful time spent together throughout the resettlement process. Amnesty International knows from our work in the refugee sector in New Zealand that there are many people who want to do more to solve the global need for resettlement. 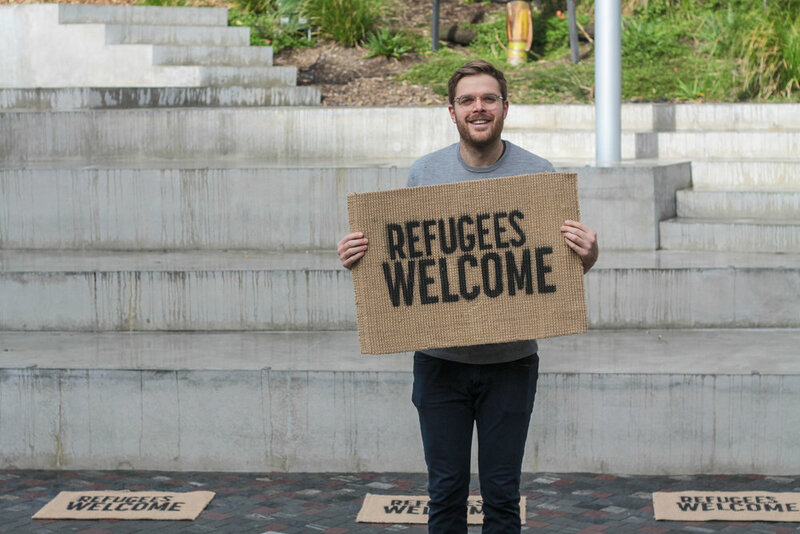 The I Welcome Pledge asked New Zealanders if they supported community sponsorship of refugees and if they would like to see the current pilot become an annual programme. In all, 10,276 people said yes, adding their voices to the Pledge. Amnesty International also had the opportunity to meet with people who aren’t part of a community sponsor group in this pilot programme, but are either involved with the newcomers in another way, or are simply New Zealanders who would like to help. Here is what some of them had to say. Bronwyn lives in Picton, where she runs an architectural design social enterprise. Andrea is an International Student Advisor. She’s pictured here with some of the students from the University of Waikato. She is also part of the leadership team of Gateway Church in Hamilton. “Previously I lived for seven years in Jordan where I saw close up the desperation of refugees living hand to mouth, with a distant hope of ever having a secure place to live and raise their children. My church community and I would consider it a joy and privilege to sponsor refugee families and support them to make a new life in New Zealand. Rosie is a Migrant Support Manager in the Aoraki region and coordinator for The Newcomers Network in Timaru. 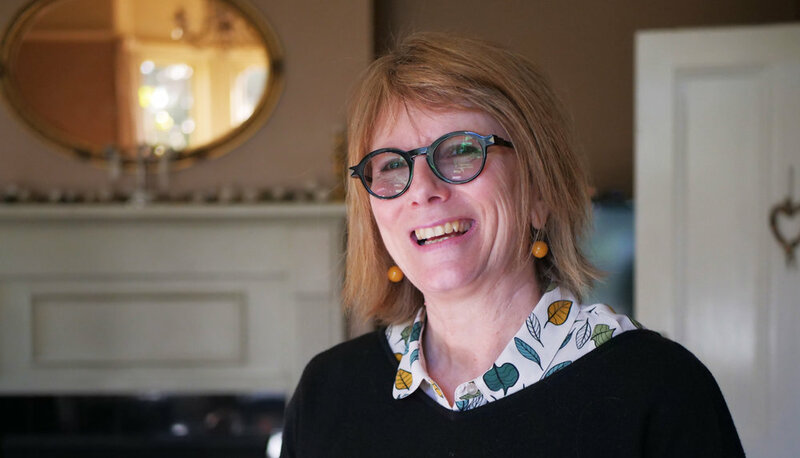 She’s not directly involved with the Timaru community sponsor group, but she is aware of the programme and has experience with migrants and refugees. 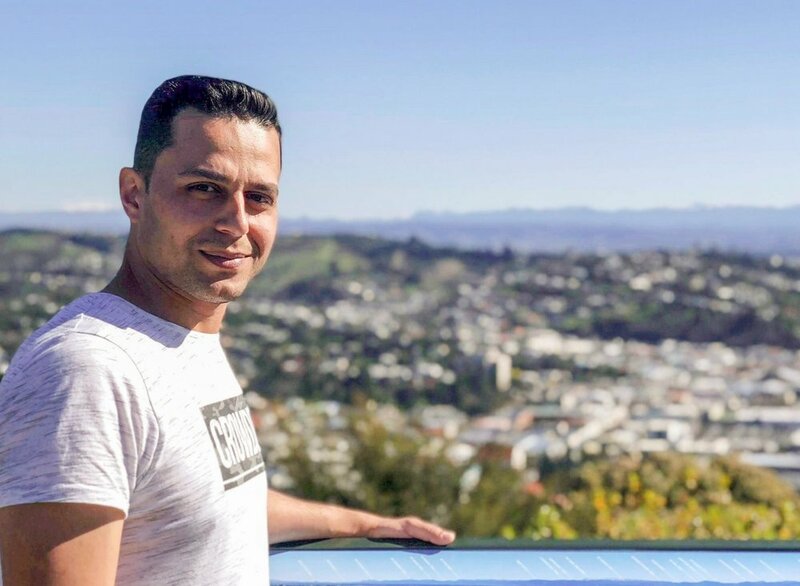 “Refugees are bringing a different view on life in New Zealand, because they come from different backgrounds. And they lived through different situations. So it enlarges our view on what’s happening in the world. Meet more New Zealanders that are supporting community sponsorship or who are already inspired to become future sponsors if the programme is made permanent by viewing the full report. New Zealand has joined a growing cohort of countries internationally that recognise the opportunity of community sponsorship, with the implementation of the Community Organisation Sponsorship Category (CORS) pilot programme. As has been demonstrated here, New Zealanders are responding generously to the international refugee crisis. They seek the opportunity to be responsible, in partnership with the Government, for bringing more refugees to safety in New Zealand. 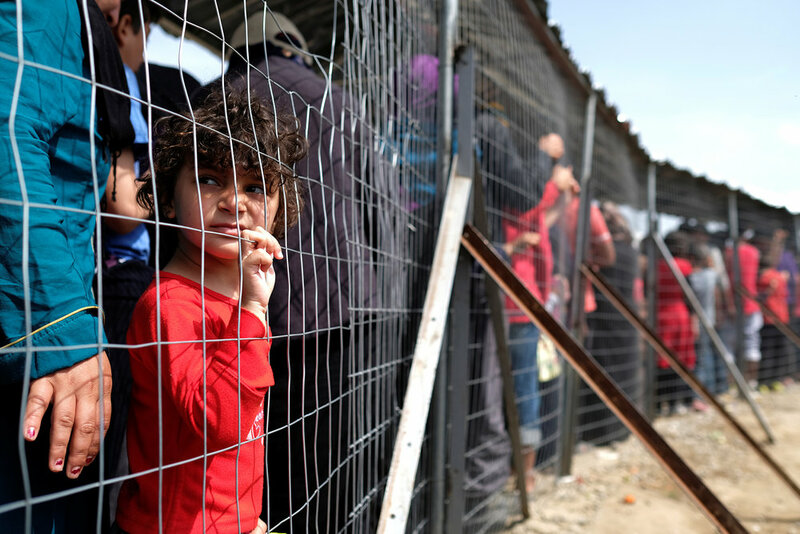 Amnesty International recommends that the CORS category be established in 2019 as a permanent fixture in New Zealand’s broader refugee and humanitarian programme, with scope for further evolution and refinement. A stated policy objective of the pilot was to “provide an alternative form of admission for refugees to complement our Refugee Quota and, in doing so, demonstrate New Zealand’s response to the scale of refugee movement and commitment to international responsibility sharing.” The local potential and global need for a permanent and sustainable community sponsorship category to be a part of New Zealand’s contribution internationally is both significant, and timely. The general public, current sponsors and potential sponsors have clearly demonstrated both considerable capacity and desire for CORS to be confirmed as a permanent pathway for refugee resettlement. For example, a joint open letter from 47 organisations from around New Zealand in support of developing community sponsorship includes faith-based groups, unions, rural communities, urban community trusts and refugee-led organisations. Transitioning to a permanent programme in 2019 also ensures that the momentum from the New Zealand public and the capacity building of sponsors can be best leveraged. Amnesty International recommends that the New Zealand Government engages further with a broad range of community and civil society stakeholders to develop the CORS programme in New Zealand, and invests in the catalyst partnership entity alongside key sponsorship stakeholders. The pilot also sought to “provide an additional opportunity for community organisations to actively engage in refugee resettlement, and to build local communities that welcome refugees.” Community sponsorship succeeds in building welcoming communities when the principle of true partnership between communities and governments is developed and communities, including former refugee and diaspora communities, are empowered. Also crucial to this partnership are community members and organisations outside of the sponsoring groups who volunteer, offer goods or funds, and provide training or connections to support sponsors. The Government needs to ensure they don’t isolate these groups in favour of a more traditional “service delivery” approach as it is the broader community who will provide support to sponsors, become future sponsors and support the success of more welcoming communities. As international experience tells us, successful public-private collaboration requires “commitment and effort to maintain ongoing dialogue, an improvement and solutions orientation, and openness to change.” Both Canada and the UK invest in infrastructure designed to ensure ongoing communication, co-design with key members of the sponsorship community and other stakeholders, and conduct regular evaluations to ensure the integrity and quality of the programme. Amnesty International notes there has been strong evidence provided to the Government from a coalition of key sponsorship stakeholders in New Zealand of both willingness and capability to form and lead a catalyst partnership entity. Amnesty International recommends that the language, skill, age and health eligibility criteria under the CORS category be reviewed in line with CORS primarily existing as a humanitarian category. The original policy development of the pilot category explicitly stated that it was intended to be part of “New Zealand’s broader refugee and humanitarian programme.” New Zealand has historically taken a primarily humanitarian approach to accepting refugees through its ratification of international instruments such as the 1951 Convention Relating to the Status of Refugees (the Refugee Convention) and human rights treaties, which recognise that refugees’ safety and well-being (i.e. protection needs) should be prioritised over other common immigration imperatives. However, currently the admission restrictions under the CORS category somewhat contradict these principles. Whilst sponsored refugees are UNHCR-mandated refugees, they are also in addition required to meet high standards of English language skills, tertiary education, work experience and health to be eligible for the CORS category. For example, the pilot category requires that both principal and secondary applicants must have the same acceptable standard of health that is required of residence visa applicants, i.e. economic migrants. This is a higher standard than is required for admission to the Refugee Quota Programme. Whilst Amnesty International acknowledges that sponsor capabilities must match refugee vulnerabilities, the restrictions create an unnecessarily high barrier for UNHCR-mandated refugees to be eligible for admission and are not grounded in protection principles. Amnesty International recommends that CORS is maintained as an additional category that is part of New Zealand’s broader refugee and humanitarian programme. The pilot sought to “provide an alternative and additional form of admission for refugees to New Zealand, to complement the annual quota.” The community sponsorship model is uniquely suited to sit alongside a stable and quality government-led refugee resettlement effort, such as New Zealand’s Quota Programme. It is clear from our interviews with participants that a driver for their commitment is that they feel they are playing a part in helping a global need, on top of what the Government offers. This motivation would be impacted if the community sponsorship programme lost the additionality component and instead asked citizens to carry out work that should be done by the government quota. AMNESTY INTERNATIONAL IS A GLOBAL MOVEMENT FOR HUMAN RIGHTS. WHEN INJUSTICE HAPPENS TO ONE PERSON, IT MATTERS TO US ALL.